While Norway may be best known musically for the sound of Black Metal, A-Ha and Roykspop, the sound of 2-Tone ska is alive and well thanks to the latest efforts of Razika, a quartet of 19-year-old girls from Bergen, Norway, who recently got the stamp of approval from The Guardian in the U.K. Described as "an exhilarating mix of ska, Riot Grrl, 60s girl groups, post-punk and upbeat, C86 pop that would make Phil Spector, The Specials and The Raincoats proud," the band are gearing up to release their debut album Program 91 which is out August 16 on indie label Smalltown Supersound. 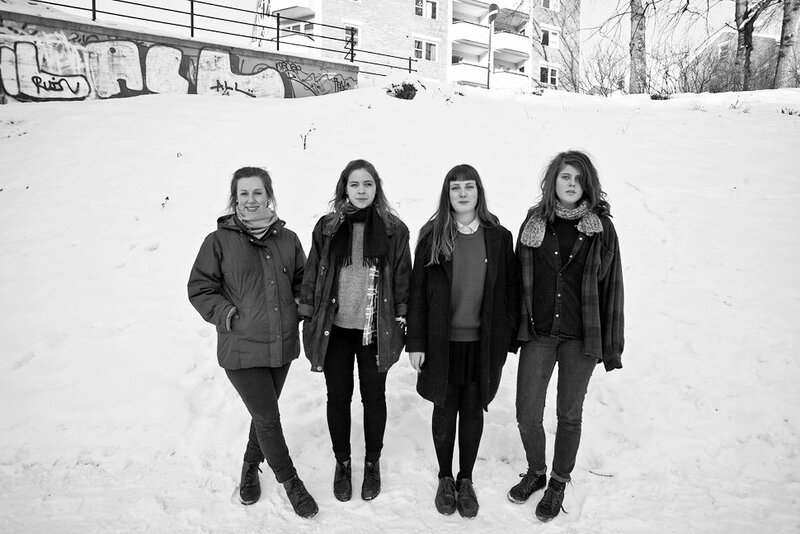 The band are a group of childhood friends —Marie Amdam, Maria Råkil, Marie Moe and Embla Karidotter Dahleng— who started playing together at 14 (in fact their name is a code word they used to identify cute boys at school). As teenage girls playing music influenced by ska and punk, the obvious comparison is The Slits, but the comparison doesn't quite fit. Instead I would say they channel the energy and sound of The Bodysnatchers early 2-Tone sound mixed with a multitude of indie pop influences that span many musical generations. They switch between English and Norwegian from song to song but that has no effect on the listener. The guitars skank and chime away while the band explore the fine line between their own youthful exuberance and wistful nostalgia of their parents records and CDs which they obviously listened to with great care and passion. Have a listen to three of the band's best songs including 'Nytt Paa Nytt" which lifts the introduction of 'Gangsters' to rapturous effect! 4 ladies in a ska band, looks good and better yet sounds great! Marc you know how to find them!